MiVetClub is an exclusive veterinary buying group offering services which facilitate the best in veterinary business management. MVC aim is to be clear, concise and competitive, with a strong customer focus. This is achieved by sharing knowledge, experience and processes, which have been developed and proven successful across our veterinary business portfolio. 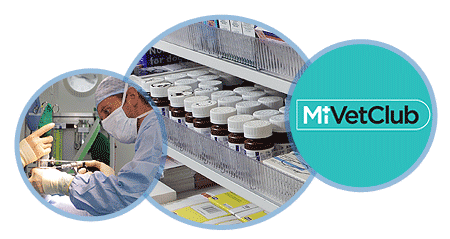 MiVetClub members not only benefit from a competitive net price for their veterinary drugs, they have access to the own brand range of MiPet products which are even more cost effective and due to limited availability they retain purchases and secure footfall to the private practice. Also there is advantageous pricing from our partner laboratories, crematoria and locum agency, plus access to some of the excellent training programmes that CVS offer their employees – including the very successful new graduate programme.